I will now include the new "i" Series coolers. They are almost the same with regards to size which let's face it, is all the matters to this thread. The only noticeable difference is that due to the new thicker tubes, the reservoir on the end of the radiator has been increased very slightly. I haven't seen a single setup where this would make a difference. I am waiting for clarification that the tubes are the same length. I know there are threads for the H80 & H100 coolers, and threads for individual cases. However, this doesn't stop the numerous threads with people asking if this cooler will fit in their case, normally as a new thread! Please keep in mind this is only based on the info provided by other forum users and I accept no liability for any mistakes! The thread is only for a summary of compatibility, not for discussion into HXXX versus air cooling or tech help etc. If you want the info to point to a specific post with pics etc then please provide the link to that post only, not the entire thread. If you wish to include any other closed loop water cooling systems (antec etc) then let me know. Thanks for all info so far - Please try and include a link or a picture with your info if you can so people viewing this thread have a reference! If you notice any broken links please let me know so I can update them! Does not fit top, makes contact with MB heatsink and RAM with some HW. May be okay with other MBs.Adv versions of the case have a bit more room, but check first. Fits rear and top fan mounts, awaiting pics. Fits in base if HDD cage is partially removed, be careful that water pipes are long enough to reach CPU over graphics card. Fits top with some modding for P/P - see link - read full thread comments. P/P confirmed, top 230mm may need to be removed if complete P/P configuration will not fit inside with hardware, check first. There's no such thing as a stupid question..... Only stupid answers! This is such a good idea for a thread. It would be useful to expand this to all coolers because some air coolers are too big for many cases, but I guess that would be a lot of work lol. Fits in the 600t on the top. Just no push pull without modding. Hope I'm not biting off more than I can chew already! Fits in the Corsair 400r and 500r (basically the same case). BUT, without modding or removing the top mesh, the H100 will only fit Push or Pull and not PUSH/PULL. Yeah. I meant the h100. Actually, the H100 fitting into a 240mm rad location is no guarantee that the double thick 120mm push/pull H80 will fit. I would just remove that 99% line if I were you. 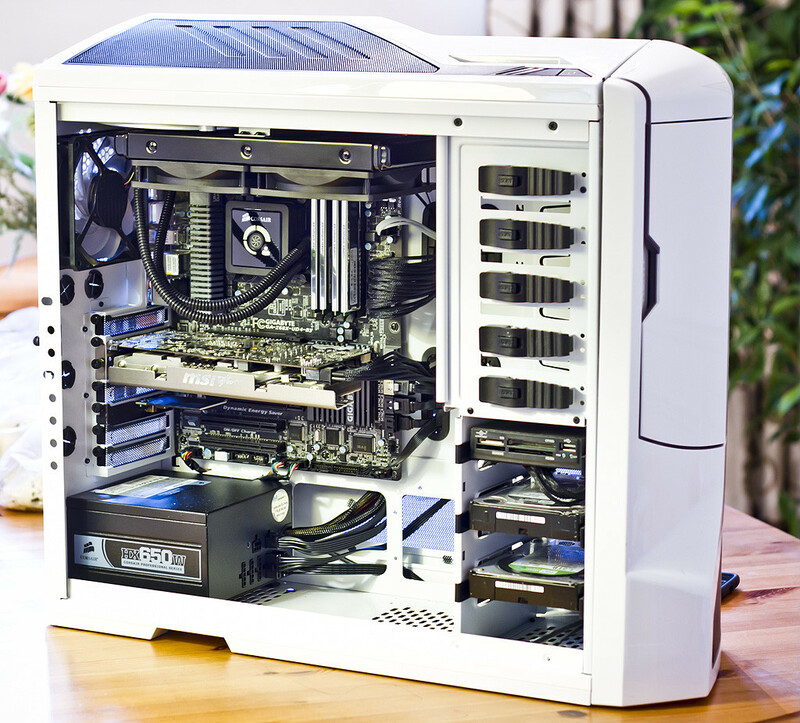 And the H100 also fits in all the Corsair cases. (under H100, List Corsair - ALL). Removed...Forgot about the extra bulk! I was able to shroud my h50 in the front of my nzxt vulcan. I would imagine the h80 would work fine as well.